You might feel that opening a fitness studio is your destiny. If so, then getting there will require you to follow the stars, or from a business perspective, seek out and follow the insights of successful entrepreneurs. Here are some key considerations for getting there. Shift from being a lone ranger to an influencer. Most great trainers and instructors are lone rangers. They do their thing and they do it extremely well. As a studio owner, you've got to lose the lone ranger mentality and shift to becoming an influencer. "The task of a leader is to get people from where they are to where they have never been." - Henry Kissinger. Move from implementer to innovator. Steve Jobs said, "Innovation distinguishes between a leader and a follower.” As a personal trainer, you might follow the policies, practices and programs developed by management. As a studio owner, you have to be the business innovator. You are the individual who brings forward ideas and actions, sometimes uncomfortable ones, then sees them through to fruition. However, if you want to be a successful studio owner, you’ve got to shift your mindset and embrace competencies you’re not as passionate about or as well-versed in. Take the time to craft your story. Every successful business has a story. A story describes who you are, what you believe in, what makes you different, and how you deliver on that difference. A story communicates the journey you lead, the purpose behind it, the values that drive it and an achievable destination. It also is the framework from which you build a business plan and budget. Get Googleable. Make sure your new business appeals to Google. Most organic searches are the primary means by which today’s consumers find you, not to mention learn about you. As an aspiring studio owner, you’ll want to secure your desired domain name as soon as possible—avoid a derivative of your business name that will be hard to make sense of online. Stephen Tharrett is currently the owner and president of Club Industry Consulting, a global consulting business based in the U.S. He is also a co-founder and partner in Club Intel, a member and brand insights firm. Stephen is a former board member and president of the International Health and Racquet Sportsclub Association (IHRSA), having served as president of the board from 1996-1997. 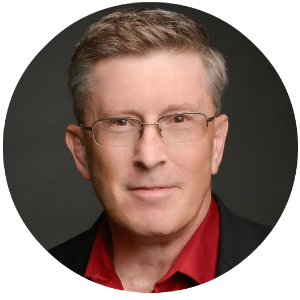 He is the author of eight management textbooks for the health and fitness industry and a frequent speaker at industry conventions throughout the world.